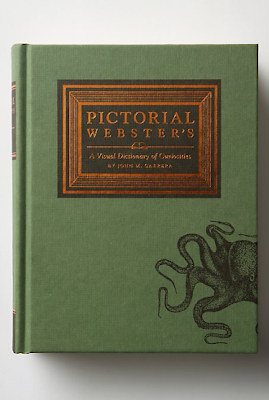 yes a visual dictionary of curiosities. honestly i could think of nothing better ... ever. and an octopus on the cover ... my next set of cards is illustrated with an octopus. this is on the list as well. i recently got this and i literally sit in bed each night "reading" the dictionary. The illustrations are fascinating. ooh love this...looks so victorian.